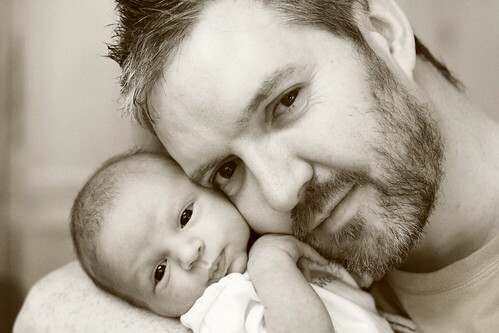 This entry was posted in baby, photos by Fiona. Bookmark the permalink. That’s a movie baby there. Aw. God, you guys. Tears in the eyes. You’re beautiful, and he’s perfect. What an absolute beauty. Having had two girls I just never imagined that boys could be that cute also. A big congratulations to all of you. You must be over the moon. 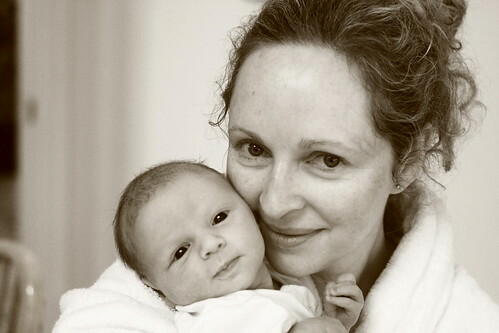 your new baby harry is so beautiful…just gorgous..
do hope your keeping well..
thanks so much for your support during the year..
much happiness to you & your husband, and your newly extended family..!! Oh Fee! He’s divine and you look like an angel. There’s no question that Harry got lovely genes from you both. Thank you so much everyone. He is a dream baby so far and I am totally in love with him. Just can’t believe my luck, keep smiling spontaneously. Hope you all had a nice Christmas and a happy new year. mazel tov, he is gorgeous! Fantastic Photos! He’s beautiful and you both look really great. Hi Fiona, warmest congratulations on the birth of your little guy. I had Robert on 4th January and, well words cannot express etc. etc. He’s amazing. My two daughters are besotted with him. Georgie just sits by his basket staring at him. I looked forward to him for four years and really thought the day would never come. I sometimes feel I don’t have the right to be this happy, had forgotten that you could be after some many years of tears and heartbreak. (came up with that name after a Miscarriage Association meeting where we all lit Tealights to represent our losses). Congratulations Tealights!!!!! That’s fantastic news, so glad he arrived safe and sound. I know what you mean about feeling like you don’t have the right to be that happy but you do and I’m so glad you are. It’s the best feeling in the world and the ultimate healing process – welcome to baby Robert and congrats to your whole family! Oh Fiona you all look wonderful. God that’s a lovely, lovely sight. Fiona – I knew this was you as soon as I saw the photo’s – what an amazing, moving time for you. I was looking out some photos for upcoming birthday and found you! Would be lovely to get in contact again – I hope you don’t mind me using this site as a contact point, send us an email let me know how you are. The pictures are beautiful. Zeala – very excited to hear from you! Will send an email. Thanks for the great info, I will definitely be back! You guys look amazing and so happy. Love the name Harry too. Beautiful photos and one of the cutest babies i have seen. Good work on the little one! You guys look so happy! Congratulations! a very great post by the author looking forward to visit more really soon. Maybe you should change the page name title The Waiting Game » Blog Archive » Here’s Harry to something more catching for your blog post you write. I enjoyed the post nevertheless. I noticed I have some hairs(blonde) thankfully but still I HATE it I feel like a man! Its not like a beard just a few here and there but uugh its awful. Where do u? get this thing here?? anyone…. whoah this blog is great i really like reading your articles. Stay up the good paintings! You already know, lots of individuals are hunting round for this information, you can help them greatly. I would like to thank you for the efforts you’ve put in writing this website. I am hoping the same high-grade blog post from you in the upcoming as well. In fact your creative writing skills has encouraged me to get my own web site now. Really the blogging is spreading its wings fast. Your write up is a great example of it. Hello, muy, pero que muy interesante Excelente. Awesome bdisus site you have here but I was curious if you knew of any discussion boards that cover the same topics talked about in this article? I’d really like to be a part of online community where I can get feed-back from other knowledgeable individuals that share the same interest. If you have any recommendations, please let me know. Thanks a lot! I’ve observed that in the world jgods the present moment, video games include the latest trend with children of all ages. There are occassions when it may be not possible to drag your family away from the games. If you want the very best of both worlds, there are plenty of educational video games for kids. Thanks for your post.